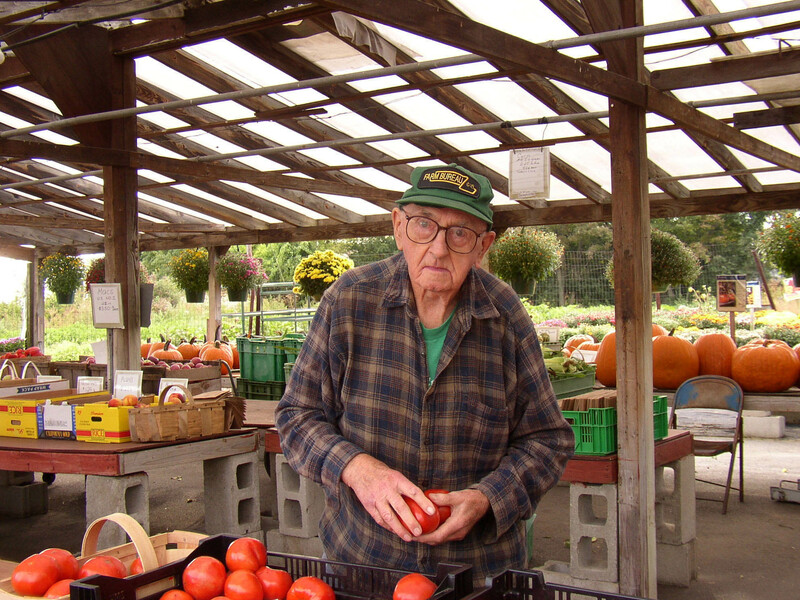 The history of Griggs Farm goes back to 1943 when Gilbert Griggs moved to Billerica from Georgetown, Massachusetts. The farm was first a chicken farm and an apple orchard. In 1955, Gil stopped raising chickens and focused on fruits and vegetables. 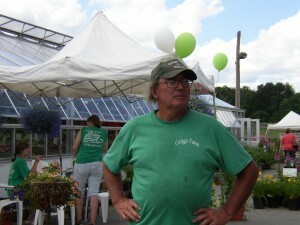 Gil’s son Billy went to school for horticulture and came back to the farm after college. He built the first greenhouse in 1981. Since then Billy has built a t otal of 14 greenhouses; the last on was constructed in 1992. Gil and Billy ran the business together for many years until 2006, when sadly, Gil passed away. He was 88 years old, and would have been 89 the following May. He is certainly missed on the farm. Now, Billy continues his family’s legacy of farming in Billerica. Today we are a 53 acre retail and wholesale farm growing a variety of vegetables, fruits, herbs, and flowers (both annuals and perennials). In addition, we have a 1.5 acre orchard with 8 varieties of apples available in the fall. Whether you are a seasoned or amateur gardener, our friendly employees have years of experience in agriculture and horticulture, and we are ready and willing to help you get your gardens growing. Throughout the year, we also host a number of festivals that cater to both children and adults highlighting the wonderful variety of seasons in New England.